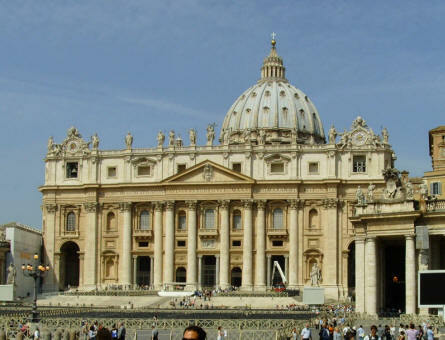 The St. Peter's Basilica in Rome is one of the largest and most well-known churches in the world. 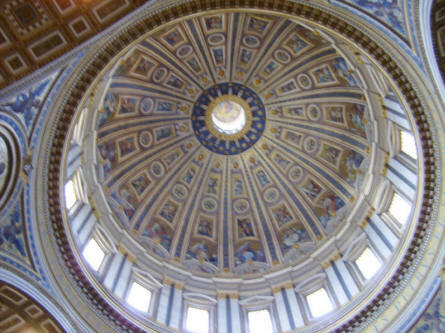 As a part of the Vatican is is also the church where the Pope performs a lot ceremonies - and makes a lot speeches. 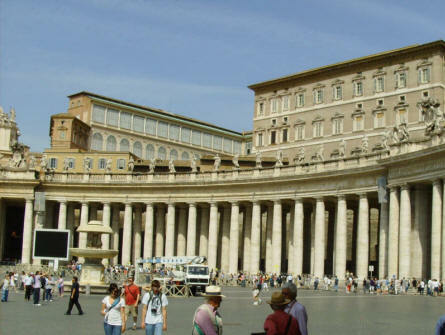 The church room and the square in from of the church are both gigantic - and very impressive. 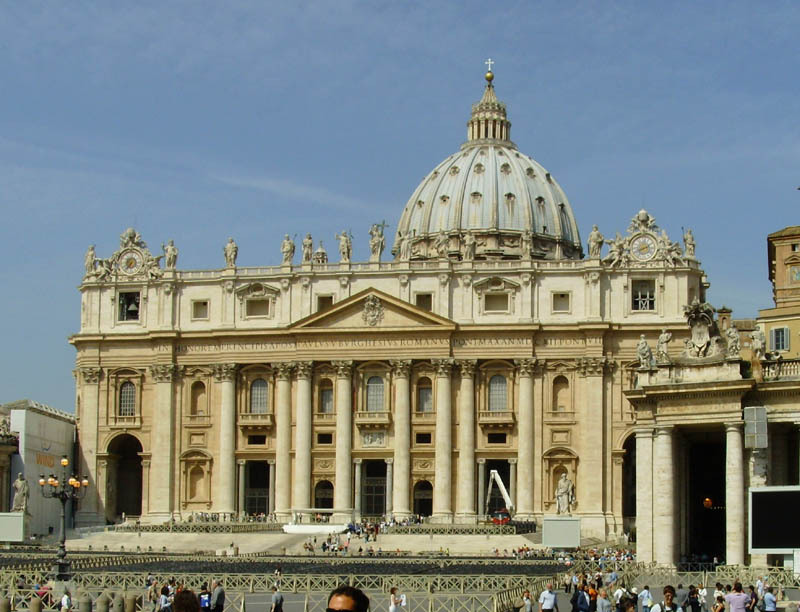 The St. Peter's Basilica in Rome seem from the St. Peter's square. 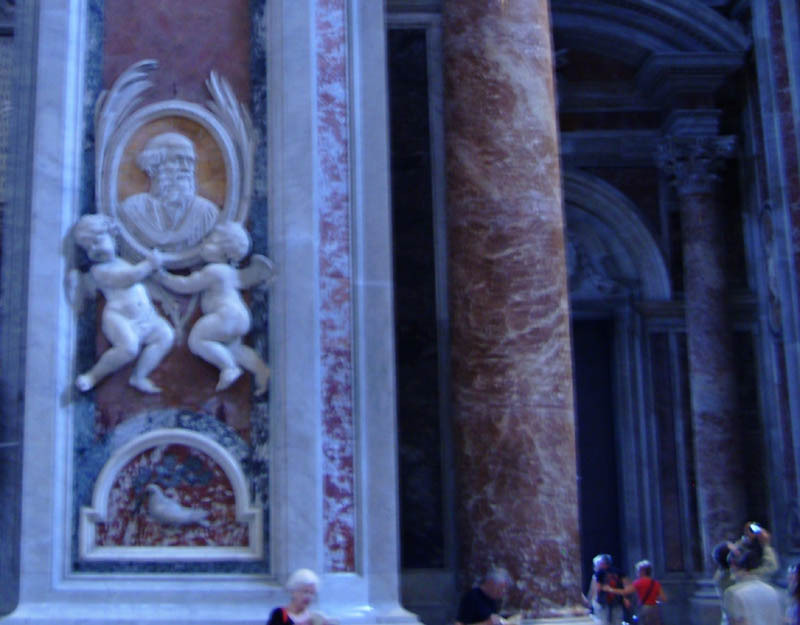 Details from the St. Peter's Basilica in Rome. 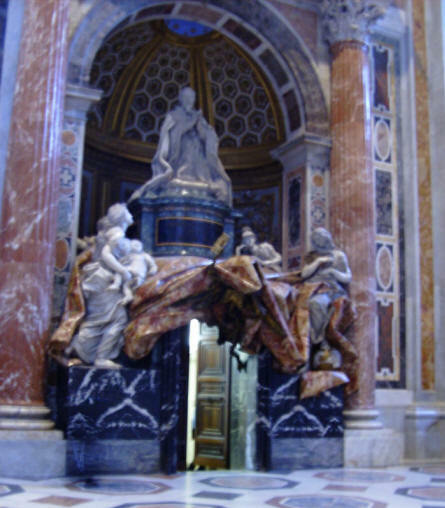 Lots for marble and gold is used to create this impressive church room. 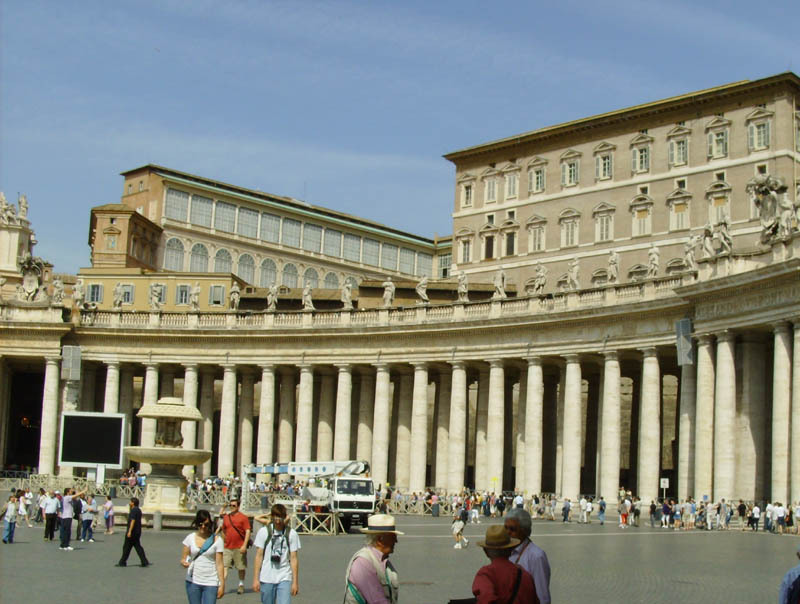 A section of the colonnade that is a part of the St. Peter's Basilica in Rome. 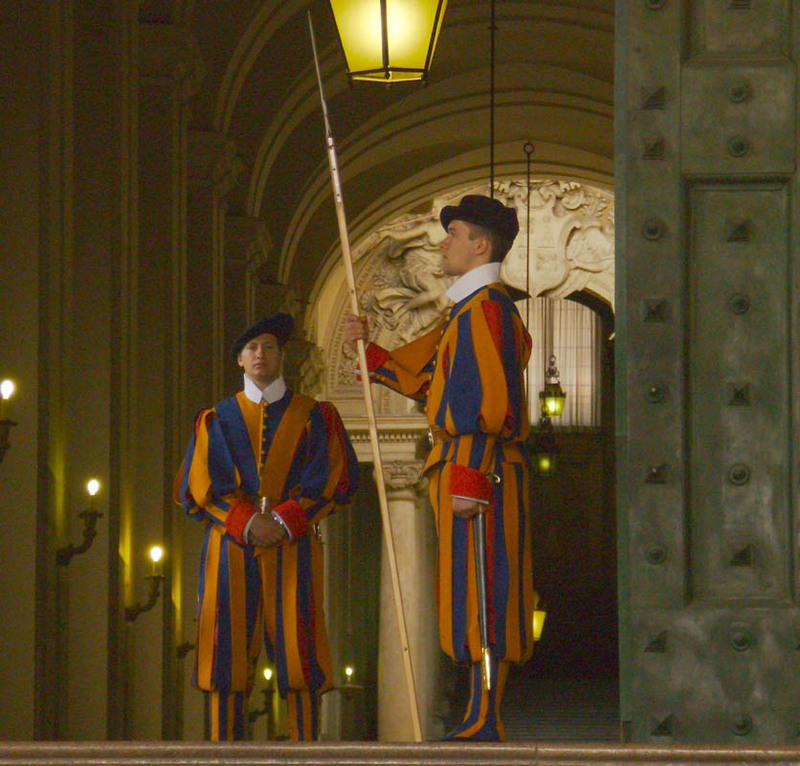 The Vatican Swiss Guard protects the St. Peter's Basilica in Rome - and the Vatican. Details from dome of the St. Peter's Basilica in Rome. Details from the St. Peter's Basilica in Rome. Lots for marble and gold is used to create this impressive church room. Notice the size of the people compared to this huge room. Jørn Jensen has given euro-t-guide.com permission to use these pictures.